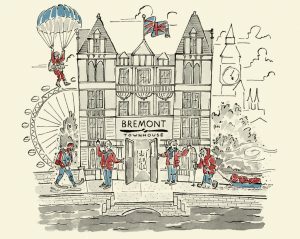 Yesterday evening I was lucky enough to attend Bremont’s Townhouse event in London. 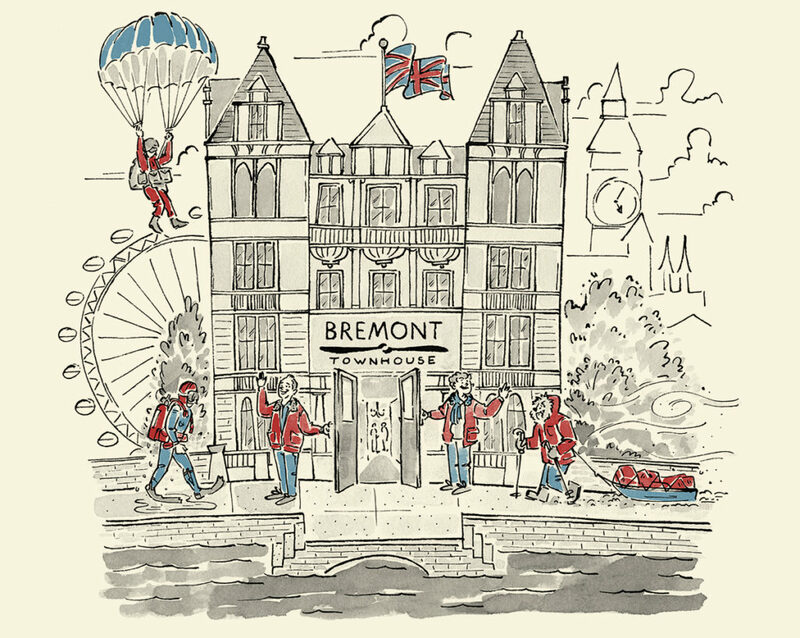 This evening is the occasion during which Bremont present their new watches for 2018. The evening kicked of with a presentation by the Arctic explorer and Bremont ambassador, Ben Saunders. As with other similar talks given by Bremont ambassadors, Ben gave a really interesting talk which make you feel like a super coach potato. Ben, with the help of Nick English, also managed to explain elegantly the justification for his relationship with Bremont. 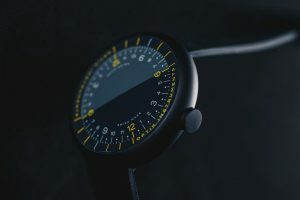 An explorer needs a reliable accurate watch to aid them with navigation which is especially important in the featureless terrain of the Arctic. 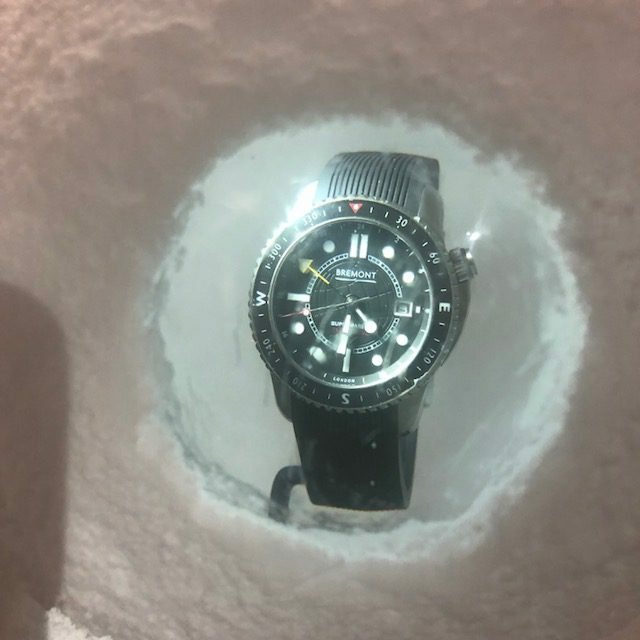 The watch needs to be mechanical as quartz watches become less reliable in the extreme cold. An interesting fact I did not know. The presentation of the watches was done with the usual Bremont style. I would only criticize the level of lighting, the low lights made it difficult to see the details of the watches well. The star watch of the evening was the new Supermarine Endurance, the watch Ben used in the Arctic. The second most eye catching new model for me was the U2/51-Jet. This is an update of the existing popular U2 model with the addition of the vintage lume previously seen on the limited edition P-51 watch. I then managed a quick try of the new S-501 divers watch which adds the more vintage styling of the S-300 series to the larger watch. This change works very well as you can see below. I finished off my quick visit with a quick look at the understated Airco range, in particular the new white and blue dialled variants. It blue the colour for this year ? 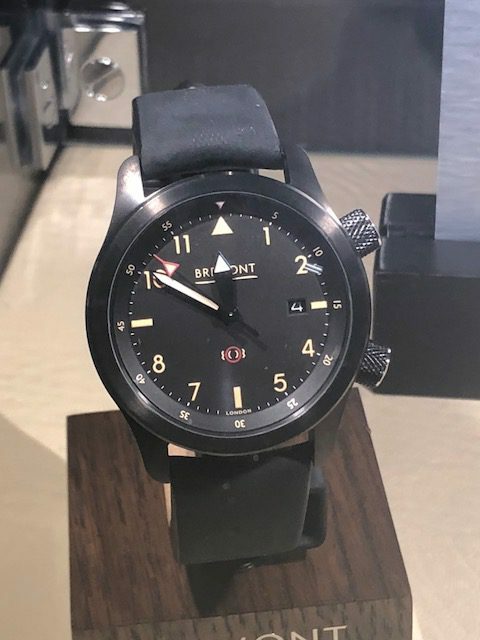 A big thank you to the Bremont for yet another well organised and enjoyable event. I hope to look at these and other new watches more in depth in future posts. 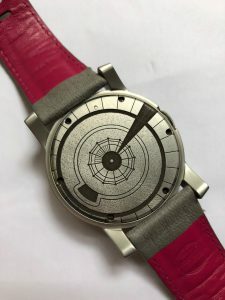 On Friday afternoon I received an e-mail from Marloe watches announcing their second kickstarter project, these distinctively styled watches. 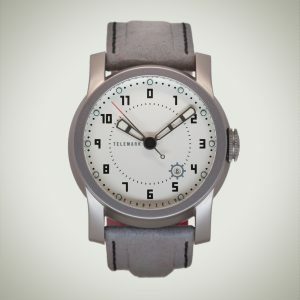 Normally, I am not a huge fan of these alternative dial designs but I think this British designed/Swiss made watch is pretty cool looking. The Kickstarter page goes live on February 27th. Maybe worth going for the early bird offers. My posts have been a little infrequent of late. This is broadly as a consequence of real work, tax returns and another holiday. To try and put this right and buy myself a little time to write my next review I thought I would share my latest horological discovery – the “time4apint”podcast. Chris Mann produces these charming little chats on what seems like a monthly basis. They are an excellent way to pass a little dead time waiting for trains and other idle moments. 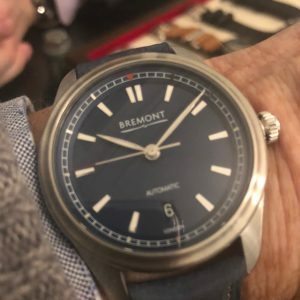 In particular and the most pertinent to the British theme of this blog was podcast 39 that was published last week, entitled “Jonathan’s Modern British watches” in which Chris discusses with collector Jonathan Hughes some of his watches. A Schofield, a Pinion, a CWC and a Bremont. 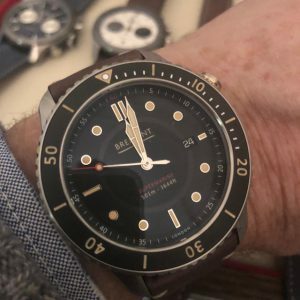 After several years of admiring the distinctive watches from Sussex’s most famous watch company, I managed to exchange a few words with the founder Giles Ellis. On an off chance, I asked if there might be the opportunity to do a review. Just after the Christmas break an e-mail arrived out of the blue. Giles had remembered and asked if I would like to do the first review of their new Telemark, a watch I had admired at its launch during the Salon QP week. 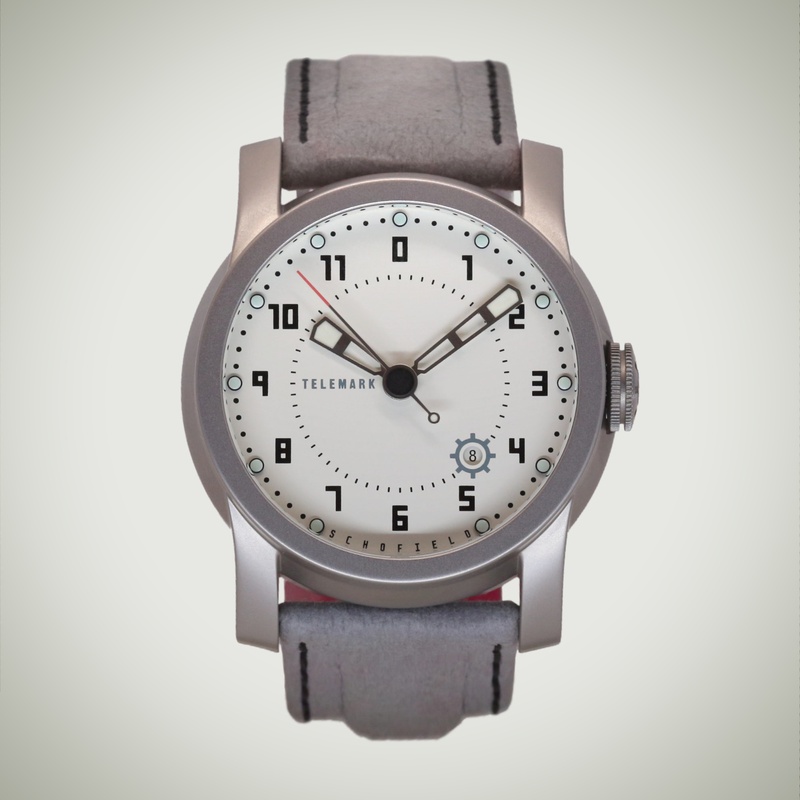 The Telemark sits within the ‘Markers’ family of Schofield watches, which was originally pioneered by the Daymark. This model being inspired by the 1960s war film ‘Heroes of Telemark’. 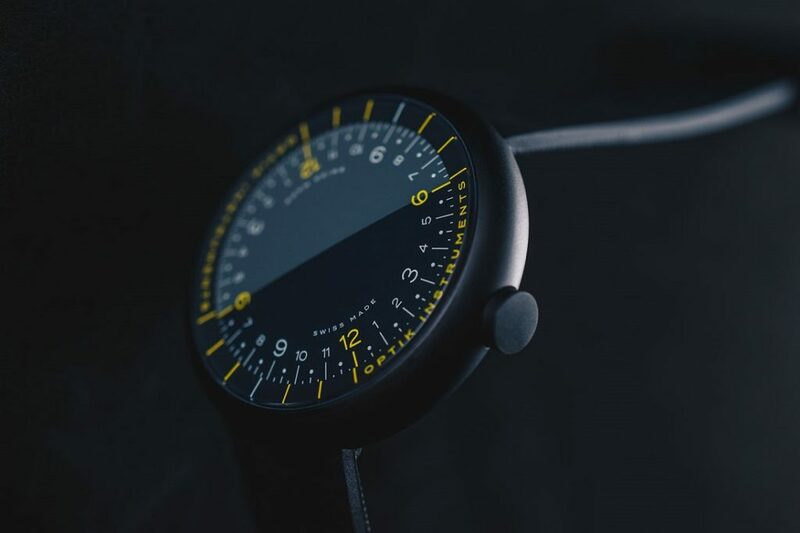 This watch has features common to previous watches however, the Telemark stands alone as a bold addition to the Markers collection. 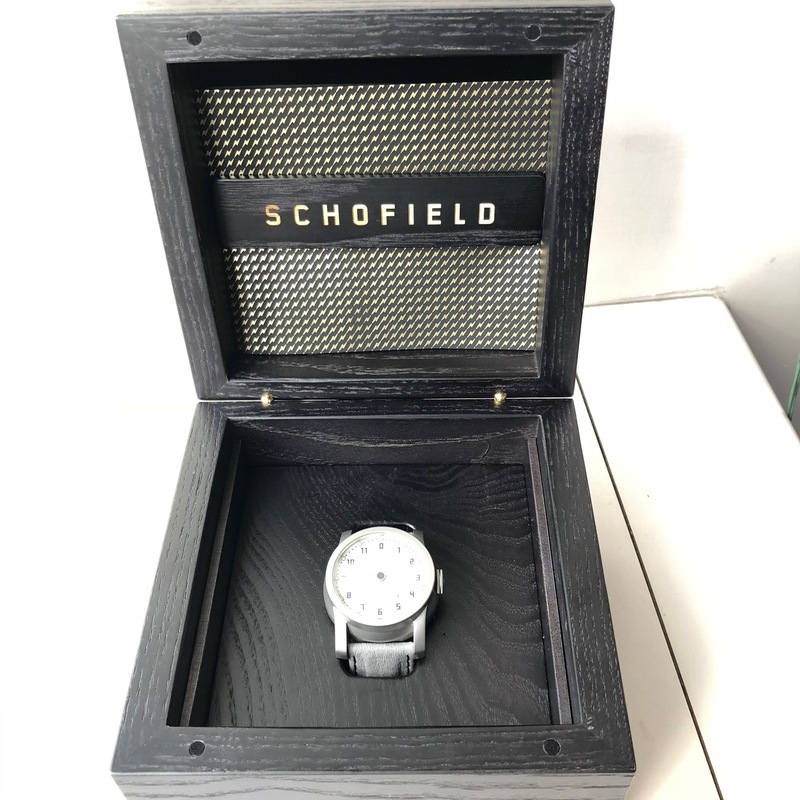 It is Schofield’s first white dialled watch, Schofield’s first fully numerated dial and even Schofield’s first design to be inspired by a coastline outside of the British Isles. Before giving more details I think it is important to describe what this very particular watch is like to wear. But before covering the watch I cannnot ignore the very impressive black Osmo Ash box, below. Though it does make you wonder whether someone with a collection of several watches can find space to store the increasingly large and impressive packaging. After a lifetime of relatively regular sized watches I have recently got used to my slightly larger than my usual, Pinion. 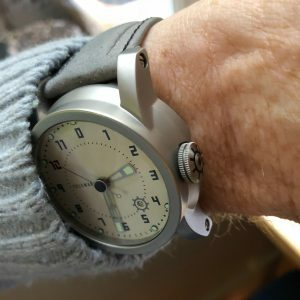 The 44mm Telemark takes my “large experience” to another level, especially the case height. To my surprise once on my wrist it actually doesn’t feel that large and it is perfectly possible to almost not notice your wearing it and I didn’t even once risk bashing it on walls or furniture which I frequently do with my personal Speedmaster. The watches distinctive character though does not really come from it’s size but the design itself and the white dial in particular. The white/grey/brushed steel combination does express a wintery “Telemark” vibe. The first thing I did then was to put the watch to my ear, The dial does not mention automatic and I had not yet read the specifications, I wanted to understand wether it was an auto or manual. To my surprise I couldn’t hear the sound of a rotor inside the case. To be sure I then checked the spec sheet and discovered it was in fact an auto. I imagine the case thickness keeps the watch quiet. Design wise there are some many details to be appreciated. The most obvious on my particular watch being the fucsia lining to the grey strap and the design of the caseback. 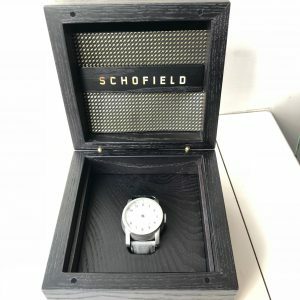 Should this strap not be to your taste one of the wonderful features of the Schofield range is the wide choice of straps available making the watches even more individual. Then we shouldn’t forget the customised straps from Schofield+Cudd. 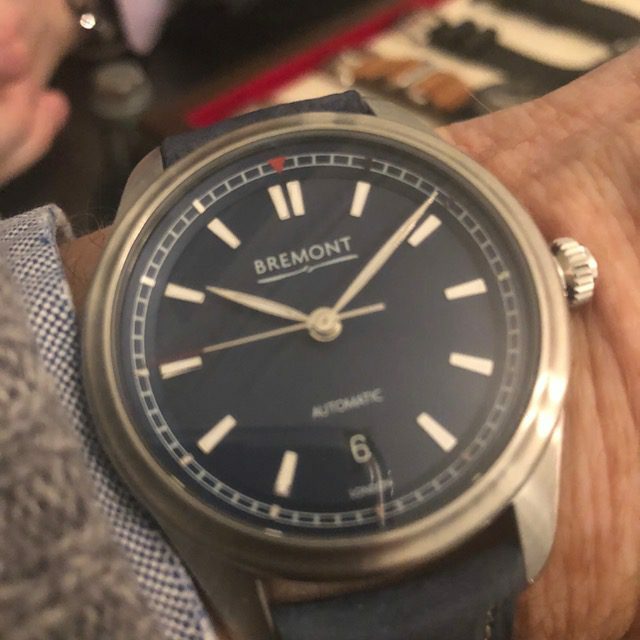 I kept thinking this watch would be great on one of the Harris tweed straps, something I would never consider for any other watch I can think of. Once turned over the more design details become visible, for the first few days I continued to see something I had not noticed. For example the Schofield brand name being written very discretely in the number 6 position on the dial. There are so many little quirky features I will resist the temptation to list them but for me the dial hand combination works really well. 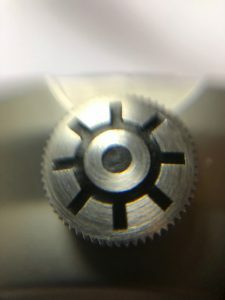 Then there is my favorite detail of all the crown and the groove in the case that makes it really easy to operate. For more information and lots of really super images you should visit the Schofield website. So in conclusion, I really enjoyed my time with the Telmark. The perfect location for a review would have been my February ski break, but I already had other horological commitments for that. At the same time I was really pleased to have the opportunity to write the first review which I did not want to postpone. Maybe I have another chance for next February. My thanks to Melodie of Schofield for organising the logistics of this loan and for her cheery notes.